What’s the Project? 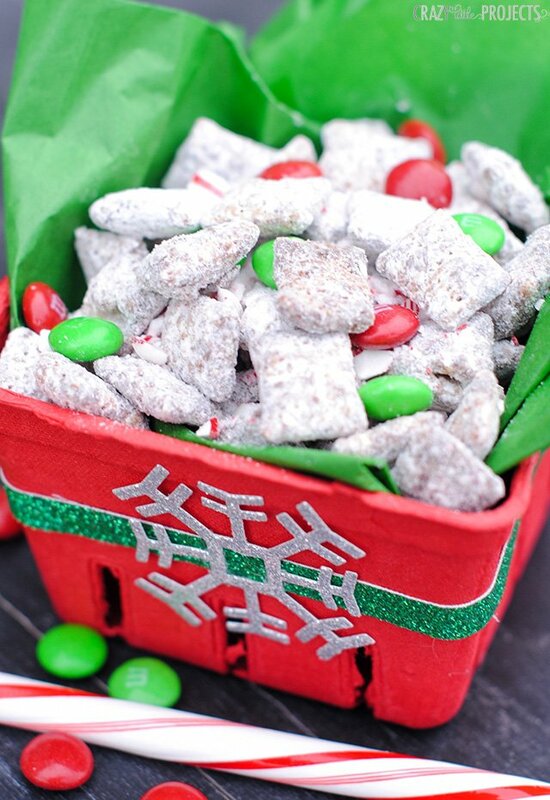 This Christmas muddy buddies recipe is so good you won’t be able to stop eating it. It’s great for holiday parties. 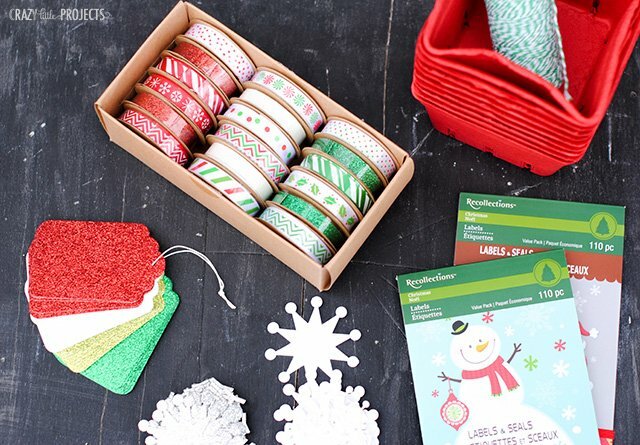 Package it up cute and you’ve got a cute and yummy holiday gift for the season as well! This project combines a few things that I love. First of all, I love all things chocolate but make it muddy buddies and I am a real goner! 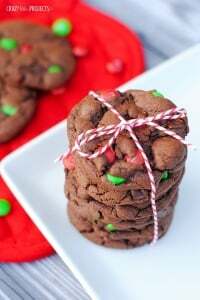 I made these Candy Cane Christmas Muddy Buddies and just love how they turned out so I will share the recipe with you. 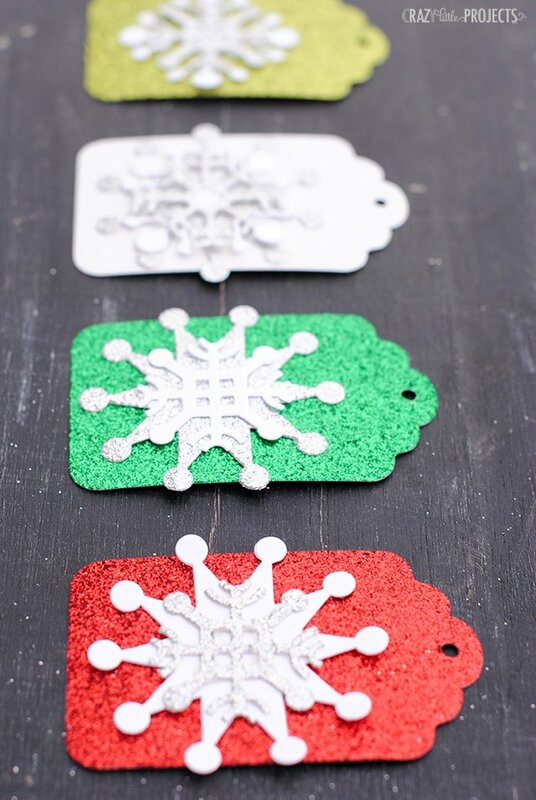 Second, I packaged them up all cute with glittery tags and ribbon and fun containers. All this while listening to Christmas music and my kids “helping” me makes for a fun project! 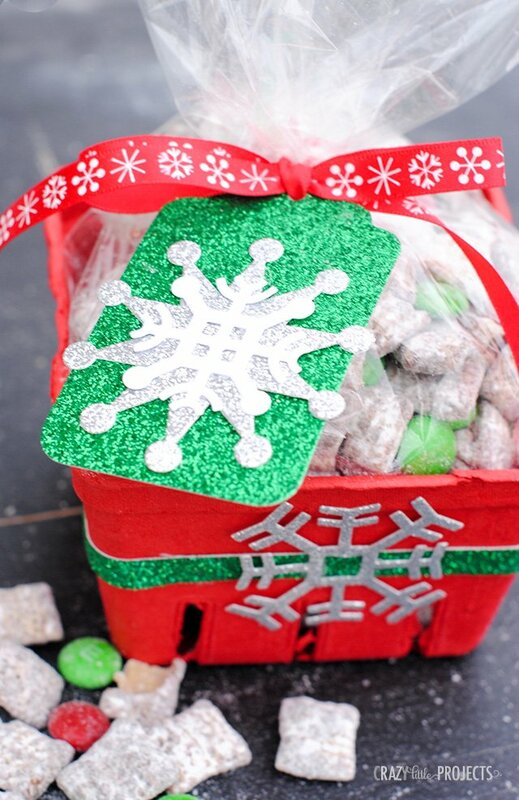 You can use this packaging for any treat or small gift you are taking to neighbors or friends this holiday season! 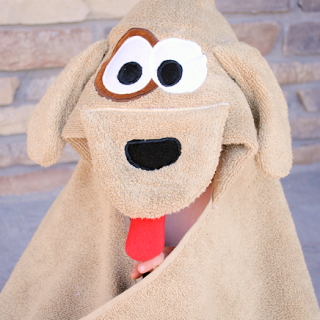 It’s so easy to make and turns out so cute. Let me show you a little bit about what I did! 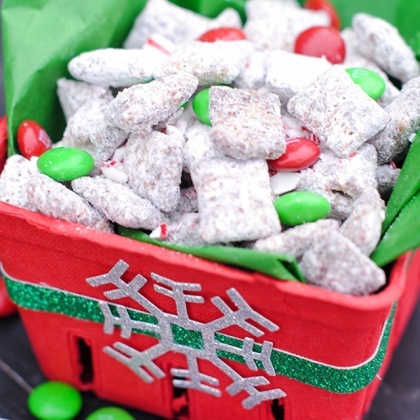 This Christmas muddy buddies recipe is so good you won’t be able to stop eating it. It’s great for holiday parties. 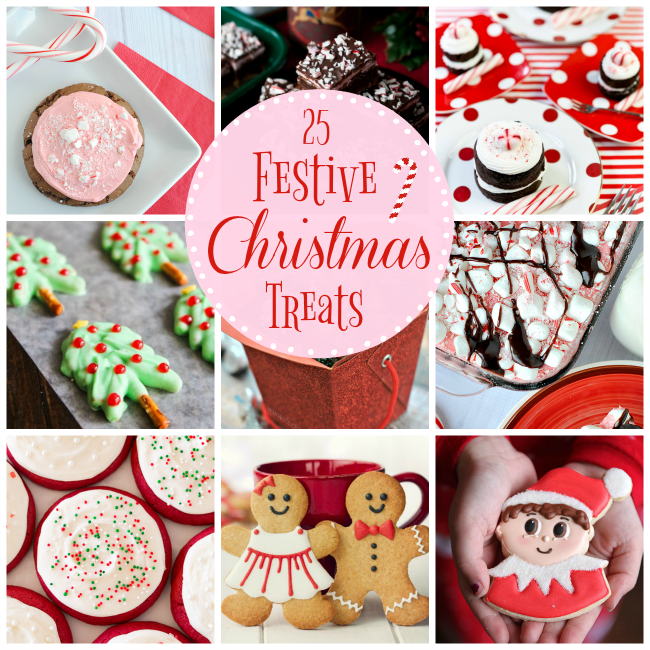 Package it up cute and you’ve got a cute and yummy holiday gift for the season as well! Measure your Chex cereal into a large bowl. Melt your chocolate chips in the microwave. Stir every 30 seconds or so until they are combined and melted. Pour chocolate mixture on Chex cereal and stir until evenly coated. Add peppermint extract and stir in. 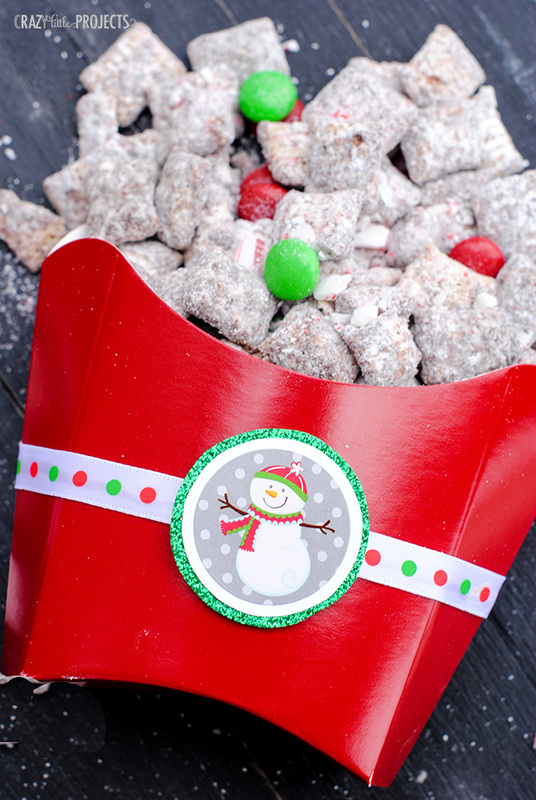 Add powdered sugar and crushed candy canes and mix. If your bowl has a lid, put it on and shake. Stir in M&Ms and you’re done! Then I just put it all together. You just need some glue to attach things. I used hot glue. You can probably also use craft glue. Here are some samples of what I did. And let me tell you, my boys were also involved in this and loved it! 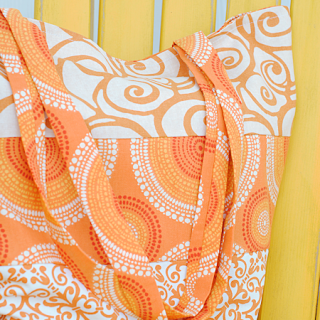 So simple and turns out so pretty! Now, packed this up cute and take it to a friend! 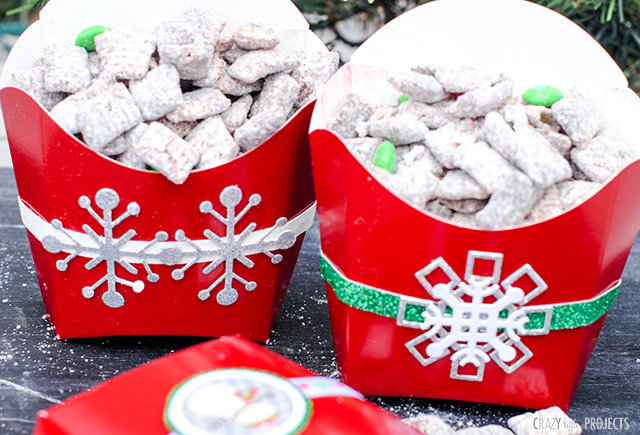 I hope you love making, eating, and giving this Christmas muddy buddies mix! I love these muddy buddies and the decor. I will try to make some especially the choclate i love choclate to. 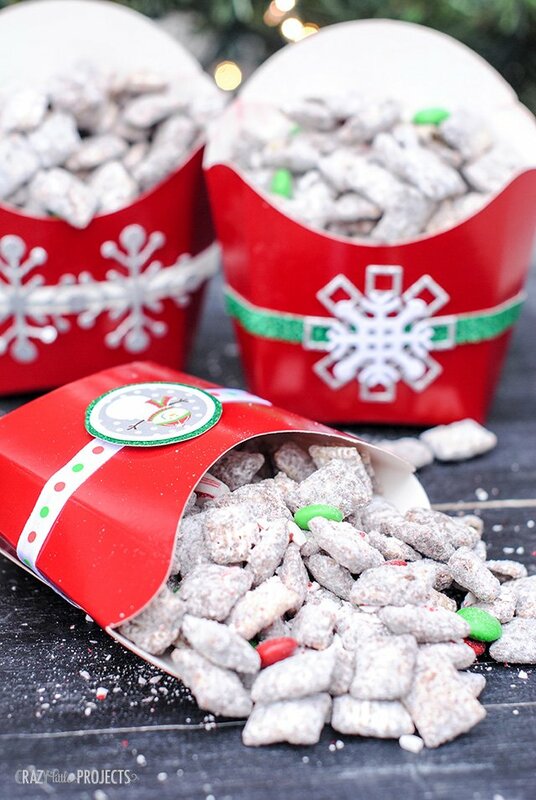 Muddy Buddies (we call it Puppy Chow) is a Christmas tradition at our house. I am loving the containers and tags!! So glittery and fun!! Do I need to let the mixture dry a little before mixing the powder and candy cane? Just worrying it will be soggy. Great! Thanks so much! Will do this tomorrow! What’s the shelf life in these yummy treats? I want to make some up before we travel home for the holidays. How far in advance could I do it? What camera did you use the quality is amazing?